Machu Picchu or Huayna Picchu Which mountain to choose? The Inca City of Machu Picchu is built in one of the most amazing natural environments on the planet; This has made many people want all the possible views of Machu Picchu, especially those in which the Inca city can be seen from above. 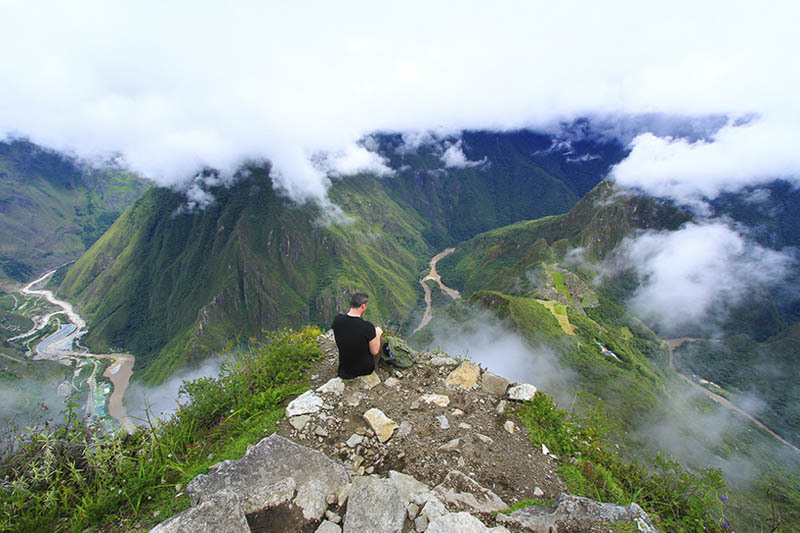 One of the most incredible ways to get aerial views of Machu Picchu is to climb one of the mountains of Machu Picchu. However, when you check the availability of Machu Picchu tickets you will realize that you have to make a decision, Machu Picchu or Huayna Picchu, Which mountain to choose? These mountains are very different, but they are not only their paths, but also the degree of difficulty, the physical state required and time of travel; In addition, all people want to climb Huayna Picchu, but you will not be able to climb this mountain if you are afraid of heights or if you can not book one of the 400 available tickets. The roads of both mountains are about 2 km; Nevertheless, the ascent by the mountain Huayna Picchu is more vertical and has greater degree of difficulty. The Huayna Picchu Mountain trails are steeper, narrower and visually terrifying; So if you suffer from vertigo or believe that you can not overcome your fear of heights, it is best to overlook this mountain, since most of the route is on a narrow road built between the walls of the mountain and huge Cliffs. There have been cases of walkers who have suffered panic attacks, even before reaching the stairs of death; And although no one has actually died on these stairs, they seem to be drawn from a painting by MC Escher; Are totally intimidating and are the main cause of panic attacks; But “worst”, if you can not get past these stairs, you will not be able to reach the top of Huayna Picchu and the fabulous Temple of the Moon. The Huayna Picchu trails are so narrow that in some cases you will have to wait your turn to use the trail. Travel time: 1 hour and a half to 2 hours and a half, round trip. Distance of the Walk: 2 km, steep and narrow roads. 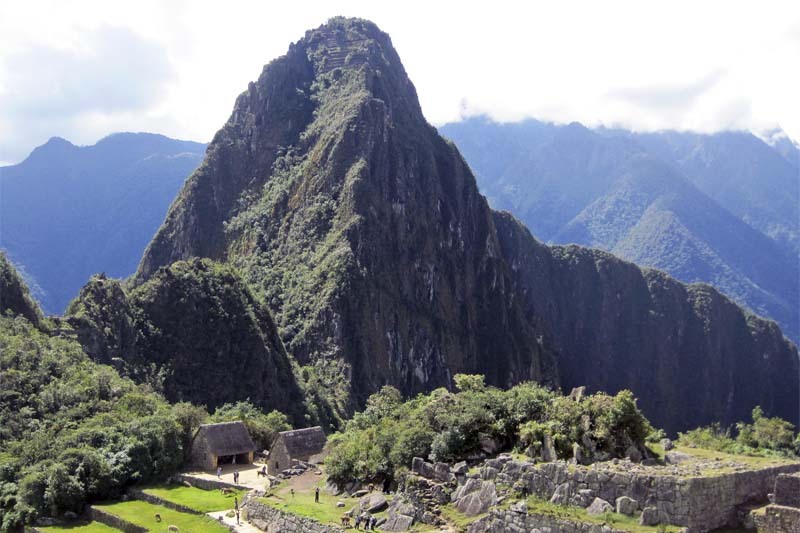 Access: From the Inca City of Machu Picchu, go to the Sacred Rock (sector of the Huayranas). Here you will find the entrance control booth to the mountain. Restrictions: Only persons over 12 years old can enter. Not recommended for people with fear of heights. Unlike the Huayna Picchu mountain, J. It is the mountain that we recommend in case of coming on a trip with small children or with elderly people, since you do not need to reach the top to get amazing views of the Inca city of Machu Picchu. Another advantage of the Machu Picchu Mountain trails is that it will be your best choice if you want to spend some time alone, or if you do not like huge crowds; Since unlike the mountain Huayna Picchu, where you will have to wait your turn to use the roads, on the trails of Machu Picchu Mountain you will find long periods alone. Distance of the Walk: 2 km., Will ascend approximately 300 m over the Inca city of Machu Picchu. Access: From the Complex of Machu Picchu, climb up to the Guardian’s House and follow to a detour that indicates the entrance to the mountain with a sign. To enter the Huayna Picchu Mountain , you will need the ticket Machu Picchu + Huayna Picchu , this has to be booked 6 months before; So you can choose the group you want to enter. If you come to Machu Picchu in the rainy season, we recommend choosing the second group; Is that it happens that during this season, Machu Picchu usually dawn covered with fog, and the second group will allow you to see how the fog dissipates over the Inca City of Machu Picchu. There are only 400 places per day for the Huayna Picchu Mountain. If what you want is the Machu Picchu Mountain , you must book the ticket Machu Picchu + Mountain ; Although you can book this ticket up to weeks in advance; To come in high season, all Machu Picchu tickets must be booked at least 3 months in advance, as well as train tickets, hotels and even guides. There are only 800 places per day for Machu Picchu Mountain.